Forensic Neuropsychology Expert - Dr. Stacey Wood, Ph.D.
One of the nation’s leading experts in the areas of forensic neuropsychology and geropsychology, Dr. Stacey Wood has vast experience as an expert witness in California and nationwide. Expert guidance on one’s ability to make their own decisions on personal care and finances or stand trial in a court of law. Dr. Wood’s experience as an elder abuse expert is unmatched. A leading researcher, speaker and forensic witness. A probate conservatorship expert helps you navigate the scientific elements of court proceedings and make your best case. If a will is being contested, a testamentary capacity expert is an invaluable resource who can help substantiate your case. Obtain valuable insight on your client with a competency to stand trial expert like Dr. Stacey Wood. Dr. Wood can help you conclude if a person is induced to act outside their own free will or without fair attention to the consequences. A California expert witness with deep experience in forensic neuropsychology. Dr. Stacey Wood is one of the nation’s leading expert witnesses in the areas of probate conservatorship, contested conservatorship, and elder abuse. Clinical and legal professionals are increasingly turning to psychologists for opinions regarding the decision-making capacity of older adults. Dr. Wood possesses vast experience on testamentary capacity cases including contested wills. Professor of Psychology, Scripps College; Licensed Clinical Psychologist, CA. My scholarly interests are in the areas of neuropsychology and decision-making from a lifespan development perspective. I am interested in how changes in the brain, emotion, and motivation interact across the lifespan to influence how we make decisions. I am especially interested in taking theoretical work and applying it to everyday types of decisions. One such application is in the area of assessing decision-making capacity for the courts. An understanding of cognitive mechanisms that may underlie specific types of legal decisions (i.e. testamentary, financial) can help us to design better tools and be more effective as witnesses. Dr. Stacey Wood is a forensic neuropsychology expert witness located in the Los Angeles metropolitan area in California. Dr. Wood has provided expert witness testimony on cases involving neuropsychology, geropsychology, elder financial fraud, and more. As a forensic neuropsychology expert, Dr. Wood’s area of focus includes decisional capacity, undue influence, elder abuse, probate conservatorship, testamentary capacity, and competency to stand trial. Dr. Wood possesses considerable and varied experience in her role as a forensic neuropsychology expert. She has served as expert counsel on well over 200 cases in the Los Angeles area as well as assignments nationwide. 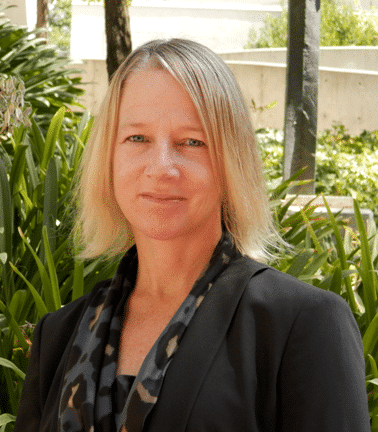 Dr. Wood is a professor of psychology at Scripps College in Claremont, California, which makes her an excellent fit for cases in Los Angeles County, San Bernardino County, and Riverside Counties. Attorneys in California are increasingly employing a forensic neuropsychologist as part of their team in cases of decisional capacity, elder abuse, probate conservatorship, testamentary capacity, undue influence, and competency to stand trial. Forensic neuropsychology is a rapidly evolving subspecialty of clinical neuropsychology that applies neuropsychological principles and practices to matters that pertain to legal decision-making (Hom, Jim. December, 2003). Dr. Stacey Wood is an expert in this rapidly changing field and a key asset in your next case in California. Dr. Wood has consulted on well over 200 cases in California counties and nationwide. In addition to her work as a consultant for Los Angeles County, Riverside County, and San Bernardino Counties, Dr. Wood was chosen to provide statewide training by Adult Protective Services of California. If you are seeking a neuropsychologist expert witness for your next case in California, Dr. Wood is the perfect fit. Dr. Wood has been recognized by other attorneys for her clear detailed reports, comfortable and clear communication skills during cross-examination, and high credibility in court. Dr. Wood brings a unique mix of academic excellence and courtroom experience to any legal team working on a case with a decisional capacity element. You can be assured that Dr. Wood is a partner throughout the process and can help you in a variety of ways from forming a strategy to conducting assessments and reviewing scientific data. Dr. Stacey Wood is a nationally recognized neuropsychology expert witness. This is evident in her experience, providing consultation to legal teams across the country in competency and capacity cases. Dr. Wood was recognized by the American Bar Association and American Psychological Association to serve as Lead Editor and major contributor on an “Assessment of Older Adults With Diminished Capacity – A Handbook for Lawyers,” She also routinely provides statewide training for APS in California in addition to various judicial training and presentations on neuropsychology topics affecting the legal system. Dr. Stacey Wood is an accomplished forensic neuropsychologist court testimony expert. Not only that, Dr. Wood is a true partner for your legal team. She has the ability to assist with the whole case preparation process such as what records to review, possible legal strategies, how to put together specific, nuanced cases, and she possesses a genuine warmth with elderly clients. An important asset not to be forgotten is that Dr. Wood is a calm, clear communicator in court and has experience providing court testimony as an expert in over 200 cases in California. It starts with reputation and extends to experience. Dr. Wood is the perfect fit as your next forensic neuropsychologist expert witness because of her high credibility within the community and years of successful experience. As a testament to the quality of her work, Dr. Wood has been chosen by attorneys across the country as well as the counties of Los Angeles, San Bernardino, and Riverside to serve as an in-house consultant on cases involving decisional capacity issues. Additionally, her work for California Adult Protective Services (APS) providing training education is an excellent vote of confidence in her abilities as a communicator and the strength of her academic career. Choosing a neuropsychologist forensic expert in California can be difficult if you are on the outside of the field looking in. 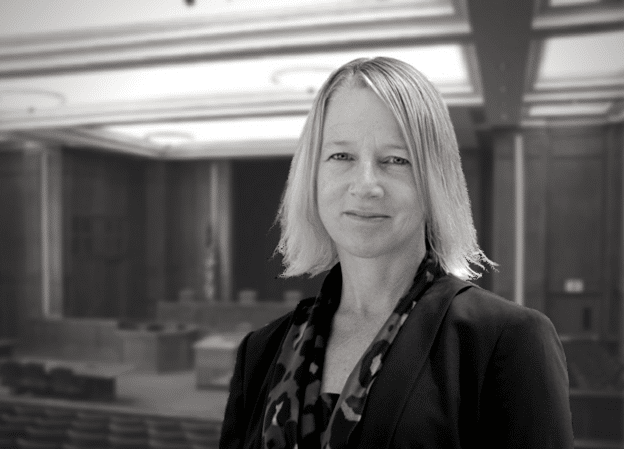 A major component that sets Dr. Stacey Wood apart is the independent recognition she’s received as a leader in the field from institutions that are deeply involved in the legal process like the American Bar Association (ABA) and Adult Protective Services (APA) of California. Dr. Wood is happy to provide references and highlight examples of her case-specific experience that is relevant to your legal matter. Serving as a professor of psychology at Scripps College in Claremont, California, Dr. Wood is conveniently located to all the metropolitan Los Angeles areas and counties of Riverside and San Bernardino. A forensic neuropsychology definition has been described by Jim Hom as a “new and rapidly evolving subspecialty of clinical neuropsychology that applies neuropsychological principles and practices to matters that pertain to legal decision-making. Cases in California where forensic neuropsychology elements are common include probate conservatorship, testaments, and wills, competency to stand trial hearings, undue influence, and more. Choosing a California expert witness can make or break your case. If your case involves a forensic neuropsychology component, there is no better choice than Dr. Stacey Wood to serve as your California expert witness. Dr. Wood has consulted on well over 200 cases in the counties of Los Angeles, San Bernardino, and Riverside in California. Dr. Wood’s experience as a California expert witness spans an impressive range of decisional capacity cases such as elder abuse, undue influence, probate conservatorship, testamentary capacity, and competency to stand trial. Dr. Wood’s primary area of academic research is focused on decisional capacity and elder financial fraud, but in the courtroom, she possesses the capability to speak authoritatively on a wide-range of neuropsychology issues. When it appears to the court, at any time before or during the trial of an action, that expert evidence is or may be required by the court or by any party to the action, the court on its own motion or on motion of any party may appoint one or more experts to investigate, to render a report as may be ordered by the court, and to testify as an expert at the trial of the action relative to the fact or matter as to which the expert evidence is or may be required. The court may fix the compensation for these services, if any, rendered by any person appointed under this section, in addition to any service as a witness, at the amount as seems reasonable to the court. Nothing in this section shall be construed to permit a person to perform any act for which a license is required unless the person holds the appropriate license to lawfully perform that act. A counter expert may be introduced in the court to question the credibility of the 730 expert witness or the protocols and findings found in the initial report. It can be overwhelming attempting to choose the right expert witness in California when so much is at stake for your client. No matter the case, as you know, it’s always most important to find an expert with the right skillset to demonstrate the arguments in your case. Dr. Wood is a forensic neuropsychology expert in California with vast geropsychology experience. In cases involving elder adults or a decisional capacity element, there is no better expert in the Los Angeles area than Dr. Wood. As a professor of psychology at Scripps College in Claremont, California, Dr. Wood is a leading scholar on the topics of decisional capacity from a lifespan perspective. Her work and insight has been recognized by colleagues including many peer-reviewed journal articles and book contributions, as well as being chosen to provide input for groups like the ABA and APA.